There are some building materials that consistently make the list of features of a home for sale. Stainless steel appliances, professionally landscaped yard, brick exterior, new HVAC system, and hardwood floors. From the weather-worn floors of old-English pubs to modern designer show houses, few building materials stand the test of time like hardwood floors. No other flooring offers the warmth, beauty, and value of wood. Most experts agree? houses with wood flooring sell faster and for higher prices than houses without wood floors. We asked representatives from The Hardwood Company, for their advice on selecting floors for residential uses. ?Wood floors are one of the few flooring options that become more beautiful with age,? said Richard ?Woody? Buchanan, president of The Hardwood Company. ?In fact, many consumers today choose ?hand-scraped? or ?antique? flooring to give their new hardwood floors more of an ?aged? look. Hand-scraped flooring is normally solid wood flooring that are scraped and finished before installation. Antique flooring is solid and is also pre-finished. It contains saw marks and rough edges that give the floor an appearance that seems much ?older? than it actually is. One of the great advantages to this type of floor is that people don?t have to worry as much when it gets scratched. ?Homeowners have an almost infinite variety of choices when it comes to wood floors. New choices include Brazilian cherry, rosewood, teak, bloodwood, tauari, mesquite, cherry, and walnut. Variety in colors and hues is considered trendy today. In the past, people matched their floors to their cabinets, but now, people contrast the two. In addition to different woods, consumers are choosing different floor widths. Many select patterns of 3?, 4?, and 5? flooring rather than the traditional 2 ?? wood floor. But do these woods require above-average maintenance? ?No more than normal,? added Buchanan. ?But like any natural product, wood is always gaining and losing moisture. ?Homeowners should control the atmosphere in their homes if they want hardwoods to maintain their integrity. ?The wider the width of the flooring, the more necessary it becomes to maintain the atmosphere in the house to prevent shrinking or cupping. ?In order to prevent this from happening, we recommend the installation of a humidity control device on their HVAC system,? Buchanan continued. ?We also ask people to control the atmosphere in their crawl spaces. With the recent publicity of mold, there are many options to seal the crawl space and maintain proper humidity levels. By maintaining the atmosphere under the house, shrinking and expansion can be almost eliminated. ?Buchanan added one hardwood that is the least susceptible to moisture variations, is mesquite. ?It is an excellent value because of its stability and hardness. ?No matter what the species or the floor construction type, in general, there are few building materials that can last for generations and remain timeless in terms of design?but hardwood floors can. B/A: Builder/Architect has been doing business with The Hardwood Company for about eight years, during which time the company has enjoyed explosive growth. Please track the performance of the company from 1996 to the present. D. Kevin Brown (DKB): We really exploded out of the gate when the company started in 1996. Over the last couple of years the business has leveled off to some degree with the economy. However, we are excited as the pace is picking up again as the economy continues to strengthen. B/A: Now to the present?tell our readers about the acquisition of The Hardwood Company by Granite Hardwoods, Inc. What products and services do you offer and how long has Granite Hardwoods been in business? Woody Buchanan (WB): We decided to purchase The Hardwood Company, (May 2003), because we wanted to diversify our current business. 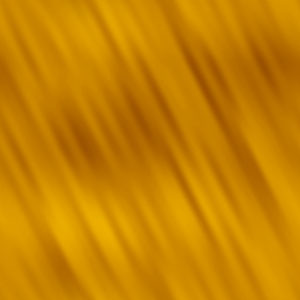 Granite Hardwoods is in the hardwood lumber distribution business and we felt like The Hardwood Company and it?s stable of products (hardwood flooring, hardwood paneling, stair treads and risers, mouldings and Weather Shield Windows and Doors) would be a perfect compliment to our company?s current product offerings. Granite Hardwoods has been in business since 1965 and we are a third-generation company that is rooted in Alabama where my Grandfather started in business over 70 years ago. B/A: What is The Hardwood Company?s current service territory? 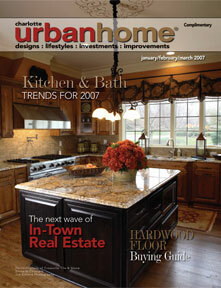 DKB: We currently have showrooms in Charlotte and Boone. We are up fitting a building in downtown West Jefferson (Ashe County), NC and plan to open that showroom by late spring ?04. We are also constructing a combination warehouse and showroom in Granite Falls (which is about 5 miles west of Hickory). We also plan to establish a showroom in the Asheville area once we get established in the market. B/A: What are the company?s plans for the future with respect to expanding into new markets? WB: We continue to look for opportunities to expand. We are fortunate to have strong backing and we are confident in the business model we are using to grow The Hardwood Company. We have implemented some very good systems that are helping to lay the foundation for solid growth in the years to come. B/A: The Hardwood Company is in a highly specialized and competitive business: To what do you attribute the company?s success? DKB: Two words? ?Quality People.? Quality people really do make a company. That philosophy along with great products and quality vendors has made us very competitive in a tough industry. The expectation levels of the customer today are so much higher than they were years ago because people are so much savvier and better informed about products for their home. The Internet has helped in this process tremendously. We will continue to look at ways to capitalize on this fascination with information by upgrading our website to be a top-notch on-line showroom. People are now so busy, they would rather look at products on-line in their pajamas at 10 o?clock at night than try to make the time to go to a showroom, hence, the need to be ahead of the information curve. Don?t get me wrong, there is still a definite need for showrooms, but the landscape of serving the customer is constantly changing. We all must change with it to stay ahead of that curve and be successful. B/A: Your Company is acknowledged as a Premier Distributor of Weather Shield Windows & Doors. How has this association with Weather Shield benefited The Hardwood Company? DKB: Weather Shield is an outstanding window and door company. They have been in business for 53 years and they are debt free. They are extremely innovative and have revenues over $800 million dollars (since he Schield?s family purchase of Peachtree, Vetter and Crestline eighteen months ago). Weather Shield gives us phenomenal window and door product offerings in aluminum-clad, vinyl-clad, all-vinyl and even still offers an all-wood window. Weather Shield is still a little under the radar compared to companies like Andersen, Pella and the Jeld-Wen companies because they don?t spend the mega-millions on advertising. They sink their millions into product innovation via R&D. As building codes continue to become more and stringent on windows and doors (which affects builders and homeowners alike), we feel Weather Shield is leading the way in providing products that will handle these tougher requirements while not compromising the style and beauty the customer desires. We are excited to continue to grow with Weather Shield and we look to expand into other markets in the future, as the opportunities present themselves as is recently the case in Asheville. B/A: Like most WNC firms, The Hardwood Company has been riding the crest of the region?s homebuilding wave for quite some time. Do you expect this trend to continue? What?s your business ?forecast? for the next 12 ? 18 months? DKB: We are optimistic. We all rode a real nice wave for several years and perhaps the wave hasn?t been as large or strong over the last 18 months, however, we are upbeat about the prospects for those of us in the building industry. Folks continue to have the desire to own their own home and they want what they want. Certainly the events of 911, the pull back in the stock market and the recent war caused the country to pull back to some degree, but we feel that pull back was probably coming anyway?so we weren?t shocked. There still seems to be a sense of ?nesting? going on among baby boomers and that need to ?nest,? we believe will translate into continued construction of second homes, summer homes, etc. in our WNC area. We really continue to pursue this upper end segment of the new construction market and therefore, we are forecasting sustained growth over the course of this year and look for even more robust growth going into 2005 and beyond. B/A: What makes The Hardwood Company distinctive? What separates you from your competition? DKB: First of all, we are not a big box store (i.e., if Lowe?s or Home Depot sells it, we typically don?t), nor are we a building supply. We sell fine, quality products at competitive prices. We offer unfinished hardwood flooring from strip (2 ??) to plank up to 11? wide in some species. We install, sand and finish all of our flooring. We carry a full line of prefinished flooring (floating, laminate and engineered). We have the ability to source about any species of wood you can imagine in our unfinished flooring line, interior door lines, as well as stock and custom mouldings. We also have the expertise to manufacture and install raised panel rooms (such as libraries, offices and studies) and do other specialized custom millwork (such as custom front-entry systems, mantles, etc.). We pride ourselves on being a family run organization that still believes in the value of an old-fashioned, down-home work ethic. Our staff is extremely knowledgeable and experienced. We have an Architect Specialist on staff, a certified flooring manager with over 25 years experience, as well as a full-time Service Technician (who is also a licensed contractor) on staff. We believe if we take care of the customer and do what we say we are going to do when we say we are going to do it, we will be distinctive and successful. People want to be able to count on you and know they can trust what you are telling them about the products you sell, the lead times of those products and ultimately the timely delivery of those products. Those characteristics add value to what the consumer is buying and we feel make us special. Our business philosophy is pretty basic as a matter of fact. It actually comes from the Bible and is quite simply the Golden Rule: ?Do unto others as you would have them do unto you.? This philosophy is not only good for business, but for life as a whole in my opinion. B/A: The Hardwood Company has been a loyal advertiser in Builder/Architect for many years?as a display advertiser and Special Feature. What does the magazine do to earn your support? DKB: It?s really about Bob Kays. 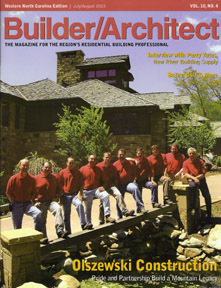 Bob makes Builder/Architect magazine. He is extremely well respected and well thought of in the WNC area. We feel Builder/Architect gets us an audience with the Architect and Builder community quicker than any other form of media we could use. The magazine is well read and widely distributed and will continue to be a mainstay in our advertising budget from year to year.